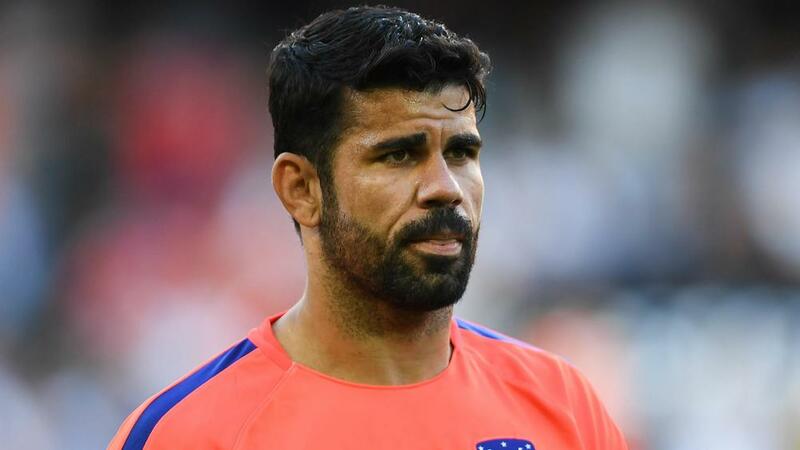 Tianjin Quanjian are said to be interested in Diego Costa, but Diego Simeone expects him to stay at Atletico Madrid. Diego Simeone insists he has no plans to sell Diego Costa during the January transfer window. Reports have suggested Tianjin Quanjian of the Chinese Super League are interested in signing the Spain international next month. Costa struggled for form in the early part of the season, scoring just once in 11 LaLiga appearances, and he is unlikely to return to action in the next month at least following surgery on a foot problem. However, Simeone does not believe the striker has played his last game for the club. "I hope, wish for and need Diego Costa in February, no doubt about it, and I believe he will be there," the Atletico boss told a news conference. Atleti travel to Real Valladolid on Saturday knowing that a win will see them go level on points with LaLiga leaders Barcelona, who face Levante on Sunday. Simeone accepts that only top spot will be enough to satisfy the demands of some fans, something he considers to be a positive reflection of Atleti's progress. "I think that Atletico fans fully appreciate what we're doing and the job the players have been doing for several years now, but of course the demand now increased," he said. "We have new responsibilities and need to be self-critical. We have to be demanding of ourselves. We've had four draws away [in a row in the league], so we need to improve to give a solution to what the fans demand.